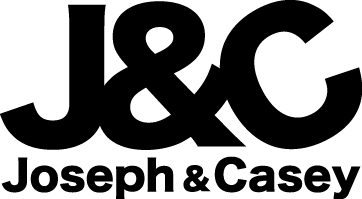 Scan the QR code to visit Joseph&Casey Mobile Qstore. Free shipping over S$80.00 purchase. Received text in the morning informing that the package is in the riser. The pillow is very flat even after one day use still very flat, not suitable for me. the pillow me and my husband like it. Good quality. Will buy again. Have received. It takes about one week. Is value for money. Thank you seller. Quick delivery. Product ok. Value for the price bought during sale. my order no. is 293008087 , your shipping status show transit to dispatch center since 31 mar , now is 9 Apr already and nothing updated. why so long to delivery? Please answer and deliver my item ASAP. Please let us check first. Thank you! Hi it says that my item is delivered but I have not received it. May I know the current update on my delivery? As we had just returned from overseas and our company was undergoing internal restructuring with our delivery company, operations had resumed as per normal for your orders to be shipped out starting today. Hi. Are your pillows & bolsters anti dustmite? I need 3 sets of pillow & bolster. Is it possible to order 3x? Hi, Please whatsapp to 92970382 for order. Thank you! What is weight if each pillow? Hi, Pillow is 1.5kg. Thank you! Hi,possible to do a self collect tomorrow if I buy today? Hi, Yes. Can. Tomrrow we open from 9 to 6. Thanks! Hi, I will like to pick up the pillow today. Is it available for collection?